Honeywell created firmware versions to mitigate two vulnerabilities in its Midas gas detector, according to a report on ICS-CERT. Independent researcher Maxim Rupp, discovered the remotely exploitable vulnerabilities. Successful exploitation of these vulnerabilities could allow a remote attacker to gain unauthenticated access to the device, potentially allowing configuration changes, as well as the initiation of calibration or test processes. The affected products, Midas and Midas Black gas detectors, test air for specific toxic, flammable, and ambient gases. Midas gas detectors see action across several sectors including chemical, commercial facilities, critical manufacturing, energy, food and agriculture, water and wastewater systems. 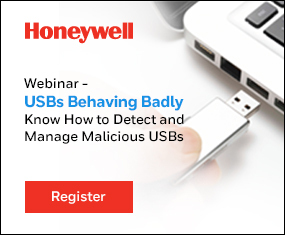 Honeywell said these products see use worldwide. In one of the vulnerabilities, the web server interface could allow an attacker to bypass the authentication process, potentially allowing unauthorized configuration changes to the device, as well as the initiation of calibration or test processes. CVE-2015-7907 is the case number assigned to this vulnerability, which has a CVSS v3 base score of 8.6. In another vulnerability, the user’s password does not end up encrypted during transmission. CVE-2015-7908 is the case number assigned to this vulnerability, which has a CVSS v3 base score of 9.4. Honeywell released new firmware versions of the Midas and Midas Black gas detectors, which address the identified vulnerabilities. Click here for the new firmware versions for the Midas gas detector, Version 1.13b3, and the Midas Black gas detector, Version 2.13b3. Click here for Honeywell’s Security Notification, SN 2015-10-14 01.